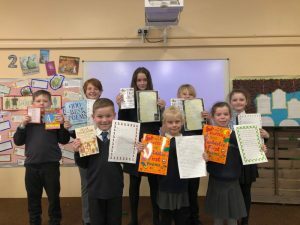 As part of World Poetry Day we held a poem writing competition. Everyone got to enter a poem they had written and teachers from each class selected the winners. Congratulations to all of the winners, enjoy your new poetry books.